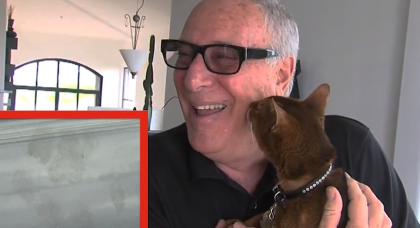 Every Time She Reaches Down To The Cat, THIS Is What He Does…OMG, It’s TOO Darn Adorable!! 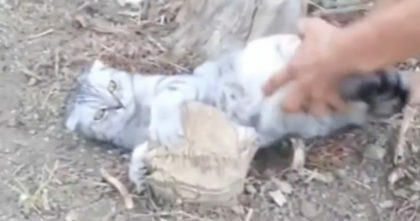 When this pet volunteer leans down to this special kitty, the happy tabby cat does this one thing every time…and it’s incredibly cute! 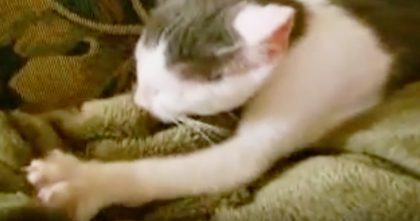 This loving furry feline just wants to give his human some love in the sweetest way possible! You will fall in love with this cutie in just two seconds. What a sweet kitty! !—SHARE this video with a friend!